Make gift giving effortless for your customers by offering a sophisticated gift box for hats. 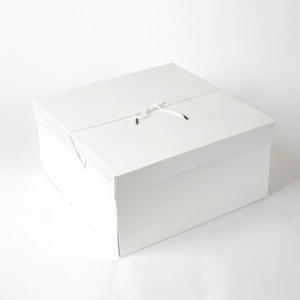 Our new and improved white gift boxes are made from sturdy cardboard and features a white interior and string ties. The 12" x 12" x 6", two-piece hat box is the perfect solutions for gift packaging and storing hats. • 12" x 12" x 6"